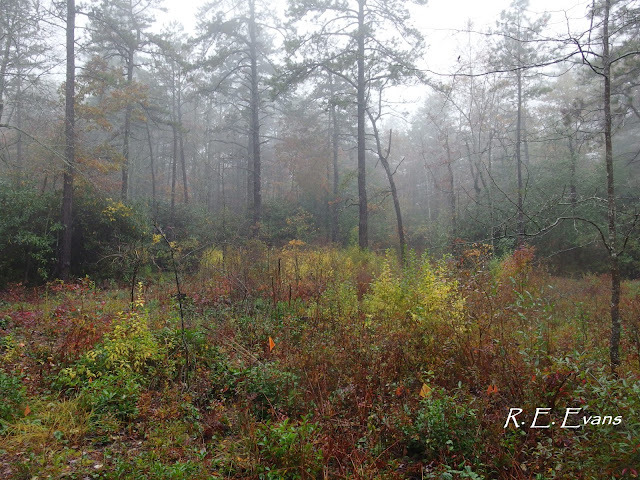 The above images were taken near the perimeter of a so-called "mountain bog" in western North Carolina. 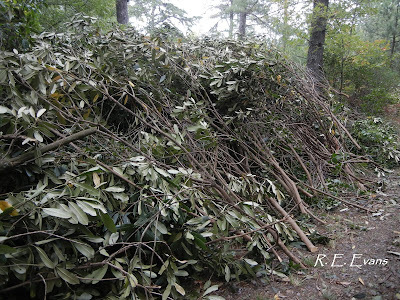 The first image shows the conditions before active restoration, the second image shows the same locale after clearing dense rhododendron invasion. 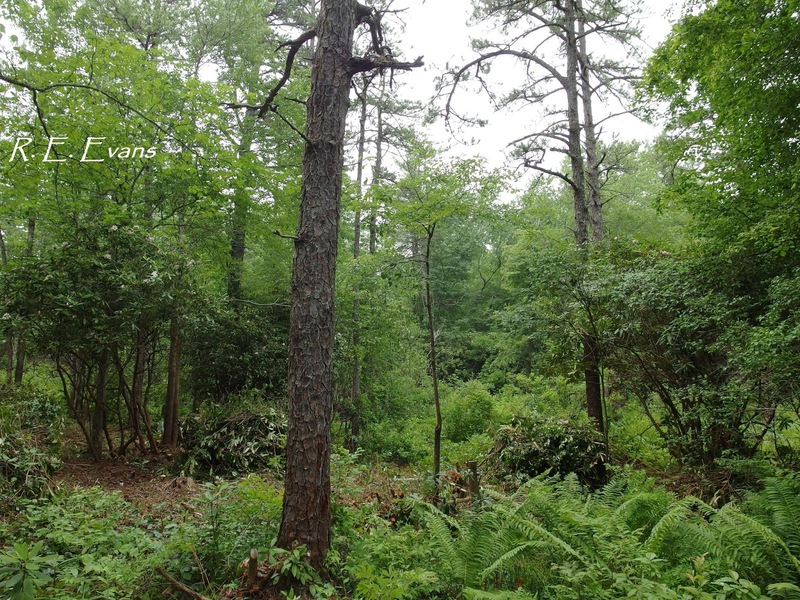 The only evident trees in the initial image are red maple and a lone pitch pine (Pinus rigida). 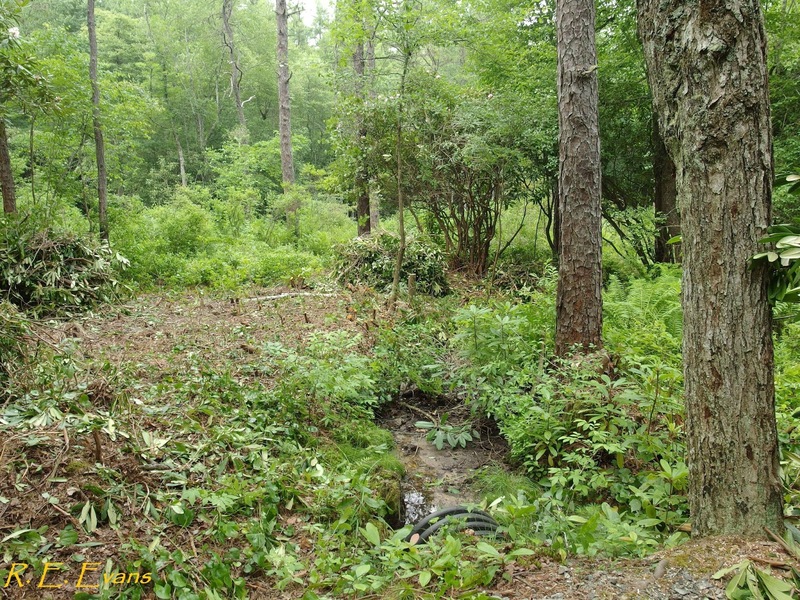 After clearing the dense brush, a number of previously hidden stems of Pitch Pine in the heart of the wetland become apparent. The images also document (especially the second one) a small tributary creek feeding into the site from a black plastic culvert. 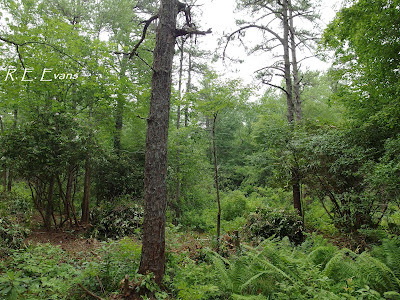 Hugging the margin of this tributary (just past the lone pitch pine) is a grove of pitcher plants (see image below). At one time other rare plants were apparently present here when the creek was able to fan out gradually across the area, and the site was more open. However, years ago a road was constructed through the edge of the wetland. Several feet of fill material buried portions of the wetland, and altered the hydrology in some subtle and not so subtle ways (plans are in the works to remove the offending road section and culvert in hopes of restoring more natural water flows and reopening original wetland surface area for bog plants, stay tuned!). 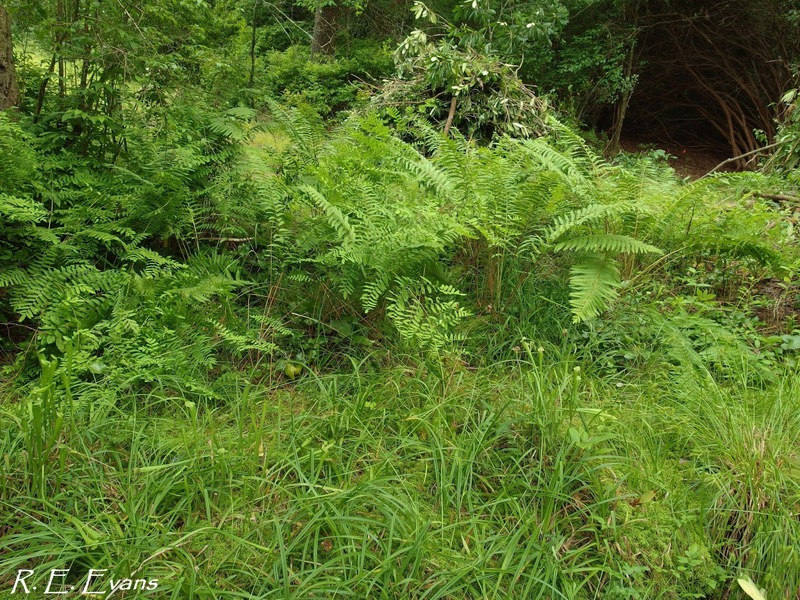 The dense thicket of shrubs that developed along the altered stream course excluded nearly all ground layer plant diversity directly underneath. 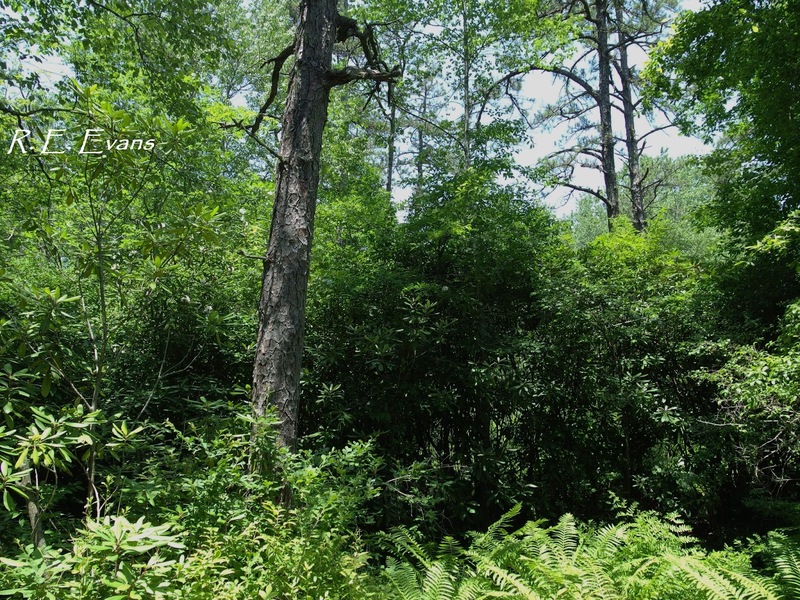 In addition, the thick wall of green created both a sun and rain shadow across the nearby pitcher plants (these pitchers thrive in open sun, in saturated soils). 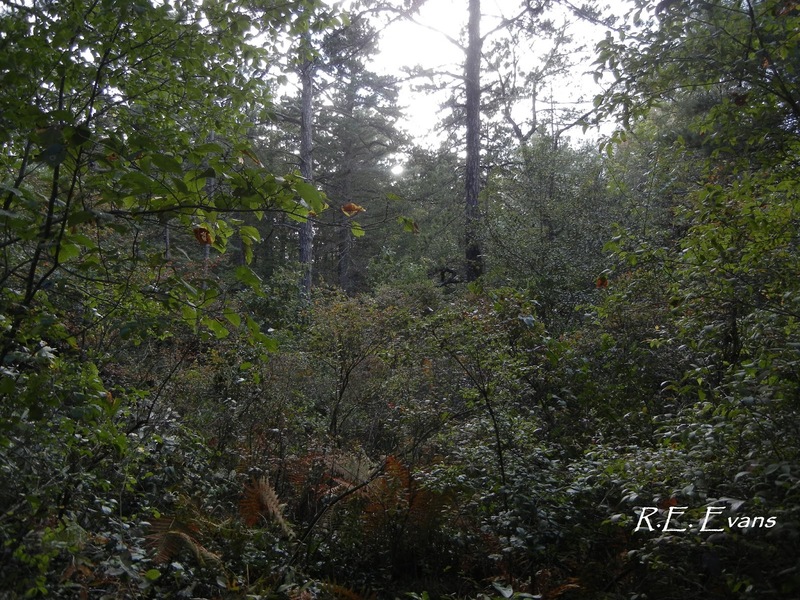 Numerous studies have shown that canopy vegetation can intercept and effectively remove up to 50% of seasonal or annual rainfall (Carlyle-Moses and Gash 2011, Forest Hydrology and Biochemistry). 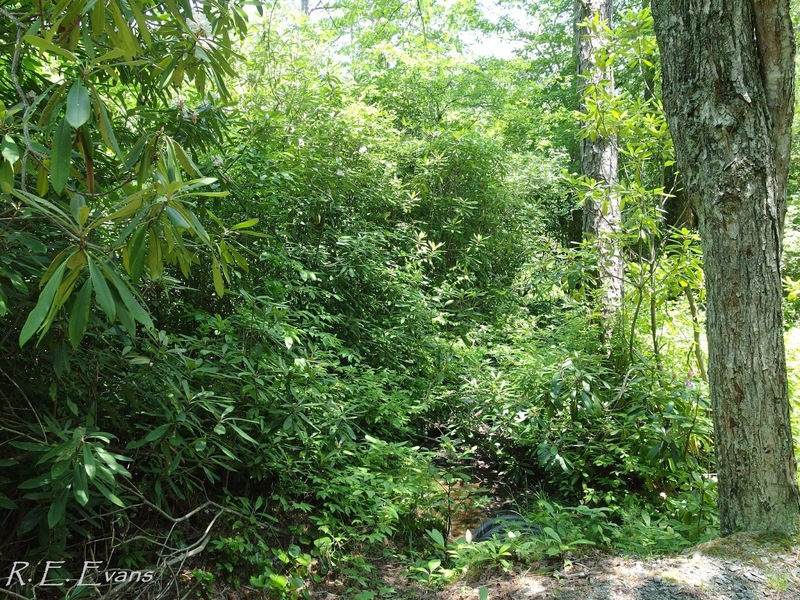 In contrast to deciduous plants, the evergreen rhododendrons continue to intercept rainfall all year long. At this site, the result could be losses of as much as 30" of water recharge per year! 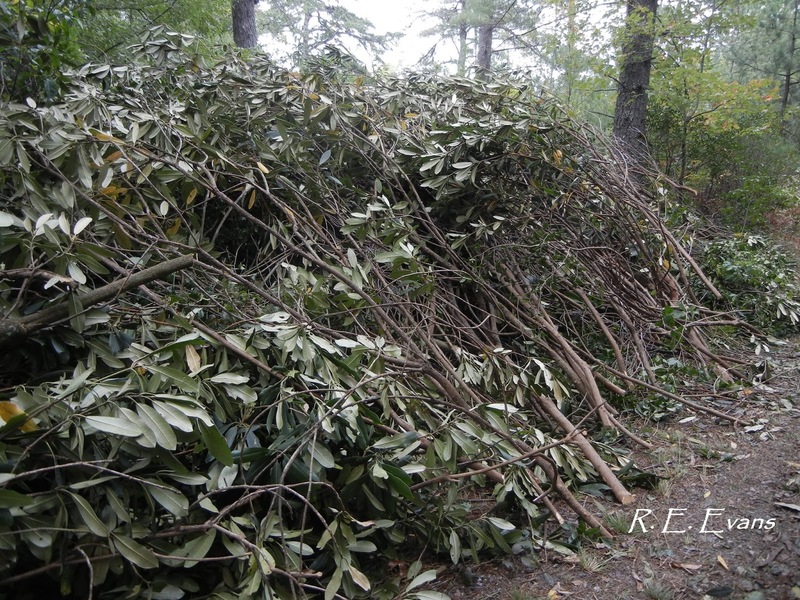 By removing the wall of rhododendrons we hope to create more open, sunlit conditions and add water back into the wetland system. 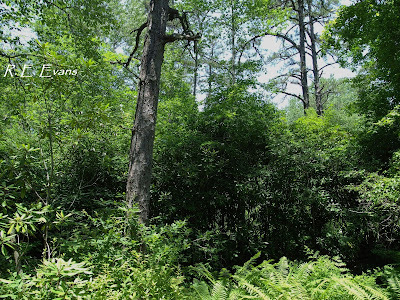 We have been working on this restoration for several years, having been slowed mainly by lack of funding and resources to complete the task; the Friends of Plant Conservation (www.ncplantfriends.org) has recently established a means by which people can support this effort. Elsewhere on this blog I have discussed a few of the rare plants whose populations have begun to rebound due, in part, to these restoration efforts. Won't you help this progress continue?